What do you do with the kids that “don’t get it”? I think this is a constant battle that we face as teachers. Sometimes it even keeps us up at night. 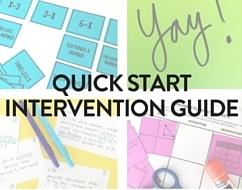 Earlier I shared about my Math Intervention Schedule and wanted to share tips for implementing math small group instruction. 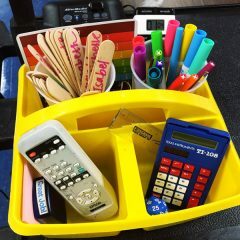 If your classroom functions like mine, a typical class period might consist of a warm up, guided notes, a class activity that is simultaneously accessible and engaging, and finally, an exit ticket for students to demonstrate mastery. Whew! That is a lot for 60 minutes. In my first year of teaching, math small group instruction wasn’t even on my radar, yet the longer I have spent in the classroom, the more comfortable I am making small groups part of my daily routine. Like any classroom routine, you must train yourself as much as you must train your students. 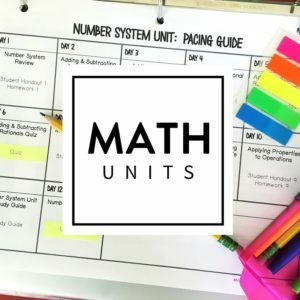 Today, I am going to give you some tips I have learned along the way, so you can set up your math small groups to be as successful as possible. This might seem like a no brainer, but there were several days that I would get to the time in class for a small group, and then I would not do it because I was not prepared. Sure, I knew who my strugglers were, but I did not have a plan on who to pull or even why I would pull them. 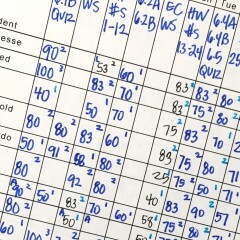 Either make a list based on class groups ahead of time, or take mental notes on which students are struggling as you circulate while teaching. What is the rest of your class doing during this time? How much time do they have to do it? Are they allowed out of their seat? What do they do if they need help? Your students should know the answers to all of these questions before you pull a small group. You will end up frustrated and annoyed if you’re spending your time correcting students or getting up to answer questions from other students. At the beginning of the year, I explain to my whole class why I pull small groups and how important it is for us to support our teammates who need extra help. One way they can support those students is to maintain a reasonable volume and to complete their work regardless of who is watching them. During a small group, there is a 100% chance that students in your class will have a question, so assign a responsible student to field questions for you. You can also set the expectation that students may only ask a question if no one else at their table knows the answer and they have looked at their notes. Before you begin, find out where your students are. You can do this a couple different ways. Informally, you can ask students on a scale of 1 to 5, how well do they understand what they just learned. Side note: make sure to explain how the scale works (1 = no clue and 5 = you could teach the class). I have found that most students are great at evaluating their needs. If a student has no idea what is going on, they will tell you 1. More formally, you can have students start a problem on their own, and watch to see where or if they begin to make a mistake. And on a rare occasion, be amazed that they can do it all by themselves, give yourself a pat on the back because you are the BEST teacher ever, and send them back to work on their own. You have enough to do as a teacher. 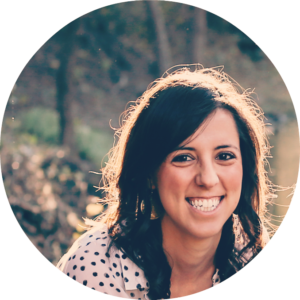 You do not have to create different material for your small group. 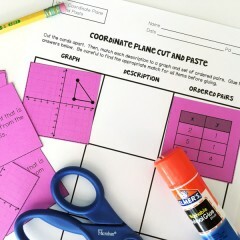 Students can work on what the rest of the class is completing. 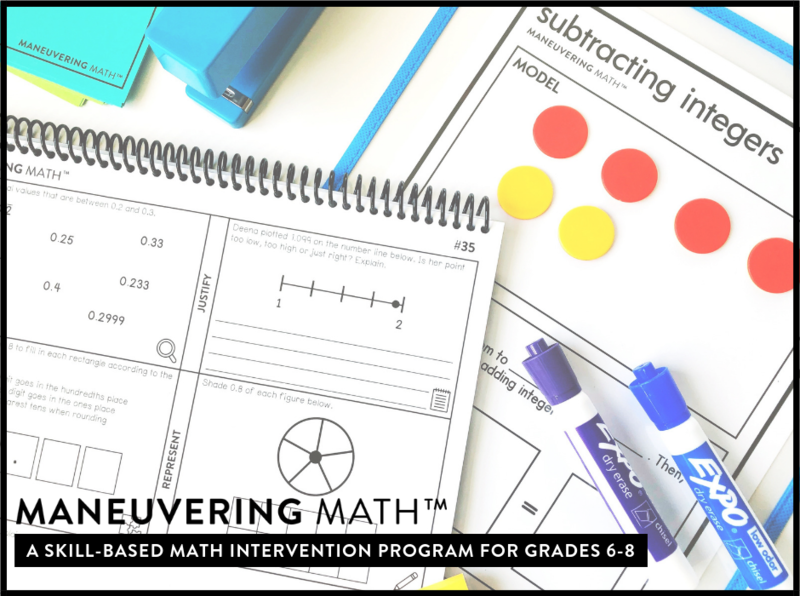 If you need to make the material more accessible, ask yourself ‘what skill are we practicing?’ If the objective is to calculate volume, perhaps you can change the classwork to include only whole numbers while the rest of the class is finding volume with decimals and fractions. Sometimes, different material is appropriate, but remember to not bite off more than you can chew. When you are first starting, keep it simple. 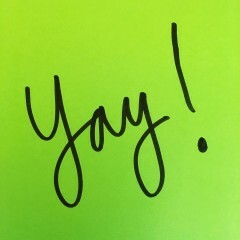 Students love to write on whiteboards! Whiteboards keep students engaged, and as the teacher, allow you to easily see what the students are doing. This will enable you to correct misconceptions on the spot and provide immediate feedback. Plus, they are just so much more fun than paper and pencil. Remember, one small group pull out will not fix every math misconception, and some students need more time and more attention. Baby steps are still steps after all, and your students are lucky to have a teacher that cares so much. If you are looking for a way to track their progress, you can check out these forms I use here. Stay positive and make sure these students know that you, as their teacher, believe in them! 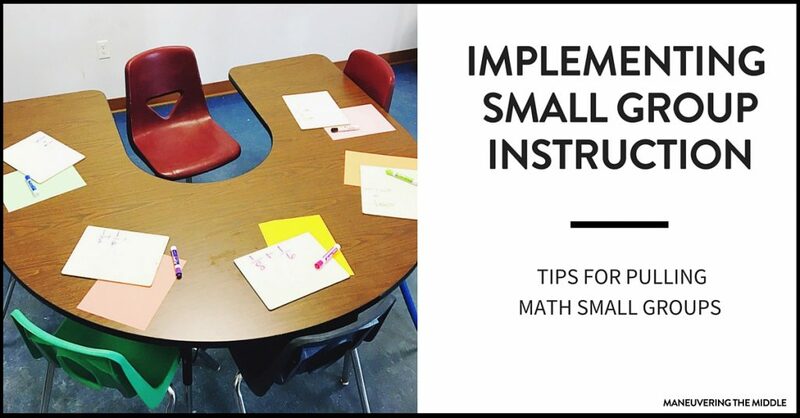 For more ideas and specifics on math small group instruction check out Guided Math Instruction. It is aimed towards elementary students, but has some great tips that transfer to middle school. 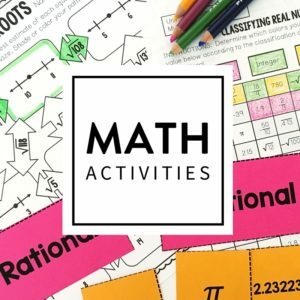 Teachers, what other tips do you have? 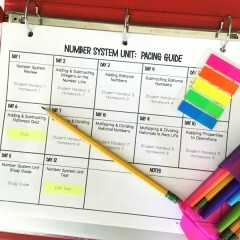 For even more tips on organizing data and small group instruction, check out this follow up post. I need the most help with small groups, so thank you for this one. I am used to small groups like in 1st grade, i had more than 51 minutes to do it. I will be keeping an eye on your blog and sharing with some fellow colleagues. Thank you so much. I am teaching 6th grade math. Lisa, thank you for your kind words! I am so glad you are willing to give it a try, it will only get easier. Hope you have a great year! I know I need to pull small groups and your advice makes a lot of sense. My biggest dilemma is HOW to pull small groups when I don’t have a horseshoe table and my room is packed full of 34 desks! I don’t have an area where I can put additional desks either. My students are arranged around those students needing preferential seating accommodations. My largest class with 34 students is also the class with the highest need for me to pull them. I do have an inclusion aide but she doesn’t know math very well. Having her pull them from the room defeats the inclusion part and she can’t teach them. I’m frustrated with my space limitations! Can you offer any suggestions on how to pull students without having to move others around each time I do? 34 desks can cause a bit of a challenge, but don’t be scared. 🙂 When I did this with my largest class, I would have a place in the room where four students would turn their desks together to create a “table” and I would pull up a chair. I usually did this near the door, in the back of the class, so my back wasn’t facing any students and I could keep an eye on everyone. If those four students are not the ones you need, just ask them to switch. It might take a bit of time training students, but it is doable. Best of luck!!! 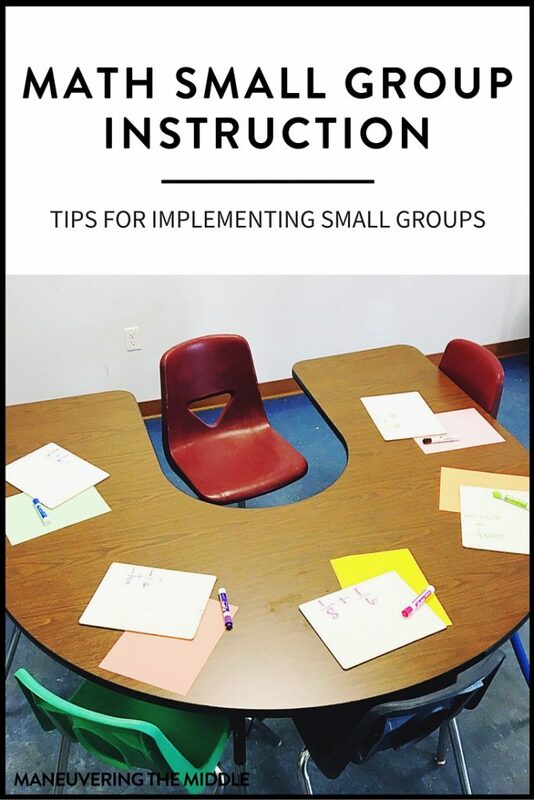 Great ideas for managing small groups! 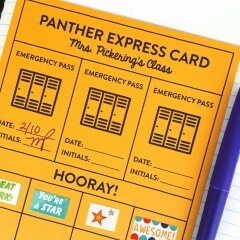 I especially like the tips for making sure the rest of the class understands expectations! I know this is an older post, but really need insight with pulling small groups. I teach 6th grade and whenever I try to pull small groups there are tears, students who put their head down and refuse to move, and students who try to argue with me and constant begging to go back to their seats. Most of the students really do not want to be pulled for a small group. We had a class discussion and what I gathered was that a handful feel very embarrassed about it and a couple just don’t like working with other people because they think it slows them down. My administrator says to just make them do it and send them to the office if they refuse. My co-worker, who also teaches this group, says to work on the mindset in the classroom, so that it isn’t seen as a negative thing to need extra help. Any ideas or insight would be very helpful! Hi, Susan! Since you will have a fresh start this year, here is what I would do. Start the year pulling small groups with all levels of students. Pull a group of high students, a group with medium students, a group of low students, a group of them all mixed up. Explain that small groups are just a chance for students to get more one-on-one time with you. 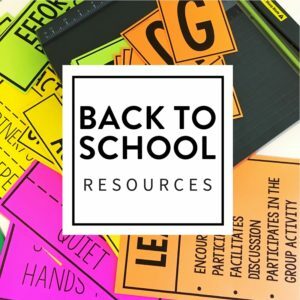 Small group time should be fun- so give individual students in small groups points or sticker or have your different small groups compete against each other for a prize. Let them work on white boards. I let students use expo markers directly on the horseshoe table. You will find that students will request to be pulled for a small group in no time. And your coworker is totally right! Mindset is the most important thing! I wrote a post on growth mindset here. Hope that helps! Best of luck!